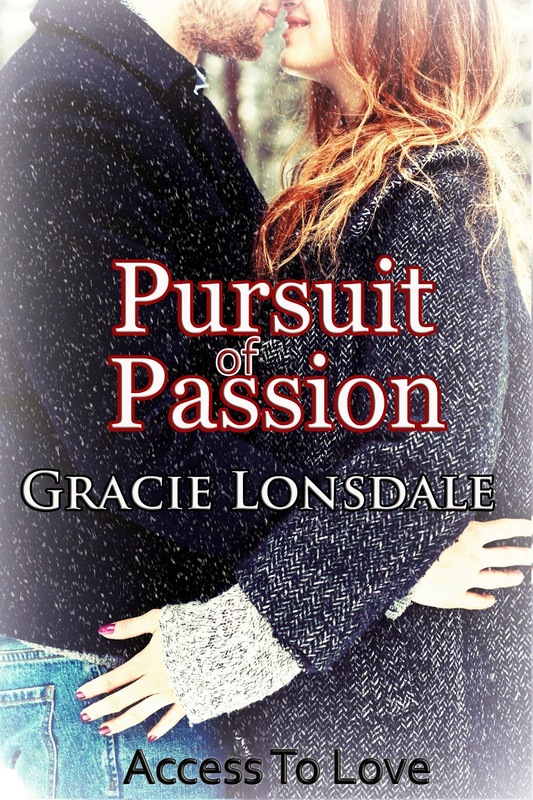 So, can you tell us what makes Gracie Lonsdale tick? What got you started on the path to becoming an author? Well, I actually started out writing in a role play group online, and found that I really loved it. It kind of segued into writing stories and submitting my first few to a publisher. This is my first venture in self publication. She was adorable, the way she blushed. I’d noticed her the minute she walked in. She was beautiful, petite, and worked out hard. I couldn’t keep my eyes off her and thanked my lucky stars the elliptical machines were positioned in front of the treadmills. For forty-five minutes, I had an unobstructed view of heaven. I had to chastise myself for staring at her, feeling like a schoolboy at my age, not to mention the guilt. Why did I feel guilty? It’s not like I was doing anything wrong. Lori had been gone for nearly two and a half years—twenty-nine months, and six days to be exact. Not a day goes by that I don’t think about her, and wish she were still here. The world as I knew it ceased to exist the minute I got the phone call that there had been an accident. The only consolation I had was knowing that she didn’t suffer. I didn’t really want to come on this cruise. It was a gift from my girls who were worried about their old man, hoping that I would be able to enjoy myself. Their hearts were in the right place, but I don’t know what they were thinking. I didn’t want to disappoint them. I knew they were concerned about me. Lori and I had a great marriage. She was a wonderful woman, a great wife and mother, and I missed her terribly. My girls were both married and had young families of their own, worrying about me only added to their already busy lives and hectic lives. When they gave me this cruise as a birthday gift, along with the—we know you loved mom, but you need to move on with your life, speech—giving me their blessing to date. I was a little taken back, not mad, it’s just that I’d always thought of Lori as the love of my life, and dating hadn’t even entered my mind. I really hadn’t been interested, but being alone wasn’t much fun, especially since Lori and I had just started to get our own lives back. With the girls married and out of the house, it was just us, and we were really enjoying our time alone. We traveled, went out to dinner a few days a week, golfed. We really couldn’t be happier, it was like we were starting all over again…and then it was gone. Maybe I’d get lucky and run into Miss Elliptical again. It would be nice to talk to someone more my own age. I do put a little bit of my real life in most of what I’ve been writing lately. It’s easier to draw on emotion and convey it when it comes from my memory. No, not really. I just need complete quiet to write. So, the middle of the night is great, or very early morning. Finding plots seems to come easy for me. I have about fifty of them written down. Actually writing them out is the problem. They just come to me. There are a lot of stories in just the ordinary things around us. Probably the supermarket, of course when I didn’t have a pen or paper. I ended up using my notes on my iPhone so I wouldn’t forget. I do look at covers first, I’ll admit it. If the cover doesn’t interest me, I’m not likely to look twice. I will read things recommended to by friends. My favorite author is who I am reading at the time. Most recently S.A. Wolf, Jasinda Wilder, Priscilla West, Angel Payne, and Belle Aurora. Hanging out with my family and reading. Thank you so much for joining me here today, Gracie. I know my followers will enjoy this spotlight as much as I have conducting it. Good luck on all your future endeavors. Thanks for having me Harper! I was born and raised on Long Island, NY where I reside today with my husband and children. I am an avid reader of all genres, especially contemporary romance novels. After years of writing down small blurbs, characters, and story line ideas, I have finally taken the time to bring them all to life. Sparks fly on their extended date over Valentine’s weekend, where they spend two magical, passion-filled days at a ski resort. Then, as they travel to Deacon’s Ranch, the passion only grows deeper for the pair from completely different worlds. Will they find their happily ever after, or could their love be strong enough to survive living half-way across the country from each other?